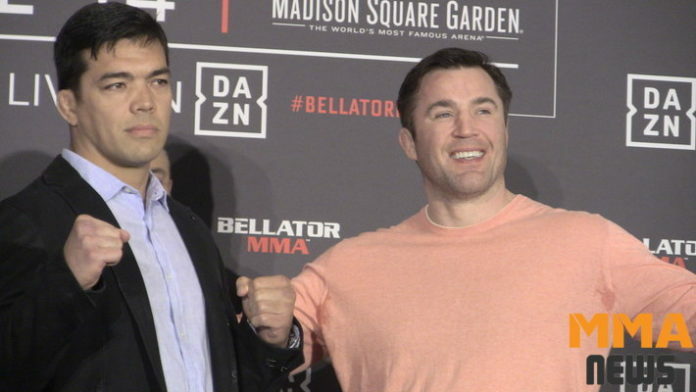 “I’m not gonna make it up if it’s not real,” Sonnen said in an exclusive interview with MMA News’ Fernando Quiles Jr. “That’s up to the promoter. If the promoter wants to get two guys in there that have a personal grudge, then he can line two guys up with a personal grudge. But Machida, he’s never been anything but a gentleman to me, to my peers. I’ve never treated him any differently. Nothing about today changed. The other side of the coin is, he has the same goals that I do, and now he’s in the same weight class that I am. So I mean, there’s a lot of stakes on the line here. “You know, they tell you you shouldn’t be emotional about it. It is emotional. They say you shouldn’t take it personal. It is personal. Prior to this bout, Chael Sonnen tried his hand at the heavyweight division for the first time in his MMA career, but came up short against Fedor Emelianenko at Bellator 208 in the semifnals of the Heavyweight Grand Prix. Ryan Bader would go on to defeat Fedor and become the Bellator heavyweight champion in the process. Bader also holds the title at 205, another division Sonnen is familiar with. “You have to give Bader leeway,” Sonnen said. “I mean, he came through this thing the hard way. He went into a tournament, moving up in weight…and particularly his draw. He did not have an easy draw. I did not think he was gonna get through the first round. I mean, just to put in perspective what a good job Ryan Bader did…and as a competitor but also somebody in that tournament, I’m not gonna take that from him. “I believe I could fight for the title right now if I just said I wanted to,” Sonnen said. “That would make two different weight classes. I think I could take Machida’s spot away and be the top guy at 185. They never ran me out of 185, for the record. I left 185. I was the king of that division. I left on my own. And they all keep looking around, happy like Chael’s never gonna come back. And that’s probably a good bet. What are your takeaways from this Chael Sonnen interview?